» Twins Born In Different Years – A Myth? Twins Born In Different Years – A Myth? When you think of twins, the initial assumption is that they’re two babies born at the same time. Of course, one twin would be older by a couple of minutes, but generally, you’d expect them to have the same birthday. A couple of minutes can mean a lot in the proper context – which is why as impossible as it sounds, twins born in different years exist. How is this possible? By a mixture of exceptional circumstances, medical preference, or just sheer luck. Taking all these factors into account, people having a twin with a different birthday suddenly doesn’t seem too far-fetched. In fact, as you’ll find out in the following cases, it can be more common than you might think – and probably less of a fuss than you might imagine. As previously mentioned, in twin births, one baby comes out after the other. Even during C-sections, there’s always one baby that’s removed first from the uterus, and the other one follows shortly after. Midwives and nurses will generally list down the moment the baby takes its first breath as its date and time of birth. These intervals can usually last anything from up to a couple of minutes to an hour in natural twin births. For those giving birth to multiple babies, this can continue for even longer. Generally speaking, in most normal deliveries, such intervals are regular. However, there are cases where the birth of one baby comes much earlier than expected, either due to complications or medical emergencies. In fact, during the delivery itself, the position of the two fetuses can cause difficulty in them getting out the birth canal – necessitating a delay. And sometimes, there are even more severe cases. There are cases like delayed interval twin delivery, where a medical complication or some other factor causes a twin to be prematurely born. In which case, doctors will prefer the twin left behind to be left in-utero for as long as possible, to ensure that their eventual birth will be less complicated to deal with. These cases are almost always considered as premature births since twins should typically be delivered at the same time to avoid complications for both the twins and the mother. Premature birth itself comes with a whole slew of complications for one twin, which is the preferable option is to let the other twin be born in the most natural way possible. While the mother can provide most of the nutrients needed for twins to grow, there are some complications where the mother’s body cannot deal with. Whether through some maternal instinct or self-preservation of the fetus itself, premature birth is triggered. Sometimes, these delays are medically triggered, but these cases are few and far in between. That being said, there is a case where twins have been born on separate years. Just earlier this year, a mother from California gave birth to fraternal twins minutes apart. The baby boy was born on the 31st of December, 2017 at 11:58 pm – while the baby girl was born on January 1st, 2018 at 12:16 am. On the other side of the ocean, another couple in the UK welcomed twins of their own: with one girl being born 11:40 pm on the 31st of December, and her twin sister following at 12:03 am on the 1st of January. This only goes to show that the odds are a little more favorable than you’d think they’d be – even if the situation seems extremely far-fetched. It just takes timing and the circumstances that fit the occasion to come up with strange cases like these. But is there anything special to it? In many cases, no. Since listing down the time and place of birth is more for legal reasons, in many instances twins that do not share the same birthday are treated as separate people. 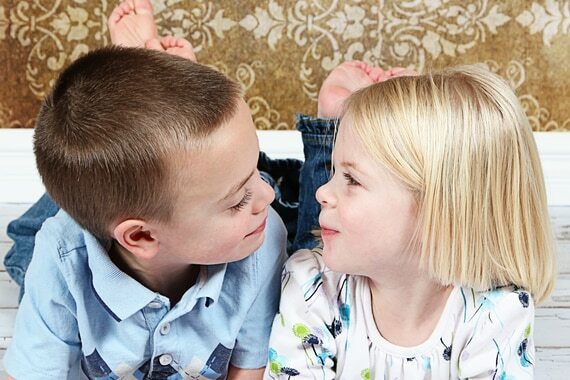 It’s the case for all multiple births, no matter what kind of twin or multiple they may be. Since it’s much easier to process paperwork by considering the babies as two separate individuals, that’s what most hospitals follow. The issue may come if there is specific legislation such as benefits that either take place or expire on the particular day itself. For example, one twin can be eligible for some grants that expire the following year – but as these are considered fringe cases, they are very rarely discussed. In the worst-case scenario, the parents of the children may have to bring their papers to a municipal or regional court, but most government benefits will fall under a “common-sense” law that prevents such a tedious process. As it stands, even if the twins in question will face some legal disputes, it should be quickly resolved with the paperwork from the hospital. What are the chances of these happening to my kids? Well, if you’re a mother expecting her own twin bundles of joy, all you have to do is count! 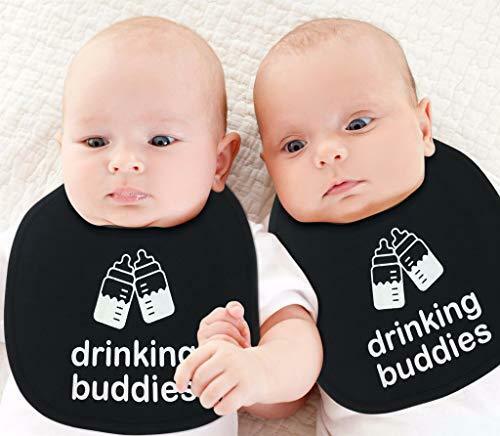 Most twins are generally born quite healthy and on schedule, and if you keep your visits to your doctor regularly, you’ll usually get no issues with this. Maybe an interesting story, but isn’t that part of the fun and magic of having children? As a parent, your primary concern should still be the well-being and happiness of your children, no matter what circumstances surround their birth. Whatever the case, raising your twin children in a loving, healthy, and happy environment should always be the priority, regardless of how they are born. Do you know someone who still thinks that twins born in different years are just a myth? Or how about some similarly unique cases of twin birth? Share them in the comments below!